Severe injuries resulting from accidents, medical malpractice, or violent crimes that ultimately necessitate medical care can have a lasting impact on Broward County families, which makes legal representation necessary to recover fair and just compensation. 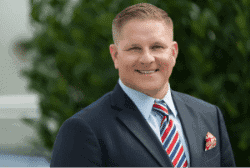 David Shiner and the personal injury lawyers at the Shiner Law Group have over 15 years’ experience representing thousands of victims in Broward County, FL, because we are committed to holding at-fault parties accountable and obtaining the favorable results victims of personal injury deserve. If you or your loved one has been injured in an accident due to the negligence of another, contact our seasoned law firm by phone or visit us online to explore your legal rights and responsibilities in a free consultation. Motor vehicle accidents: Accidents are commonplace in Florida, but the devastation associated with motorcycles and tractor-trailers far exceeds the damage in a standard car accident. The Shiner Law Group has experience representing victims in complex legal matters stemming from motor vehicle accidents, and we use the discovery process to conduct a thorough evaluation of the crash site to help identify the appropriate defendants. While we make every effort to pursue a fair settlement outside of court, we are prepared to take your claim to trial against large national insurance chains. Premises liability: Slips, trips, and falls caused by a property owner’s failure to maintain the premises in a reasonable manner are among the leading causes of death in the United States, according to the Centers for Disease Control and Prevention (CDC). Our personal injury lawyers are dedicated to helping you navigate the claims process by reviewing relevant accident reports and facilitating insurance negotiations, so your legal and financial interests are protected. We have experience advocating for victims of premises liability who have been injured on residential, commercial, and public properties. Nursing home abuse and neglect: Nursing homes and long-term care facilities have a legal obligation to provide a safe and clean environment for the most vulnerable members of our communities. When cost-containment measures persist, however, the level of care provided ultimately weakens. The Shiner Law Group helps victims of nursing home abuse recover a broad range of damages to ensure the patient’s medical needs are cared for and to dissuade facilities from engaging in future incidents of negligence. Product liability: State and federal regulations require manufacturers to oversee the safety features of their products sold to the public. When a lack of oversight contributes to an accident in which a consumer is wrongfully injured or suffers property damage, the manufacturer can be held liable. Our personal injury attorneys help victims obtain financial support by consulting a network of accident reconstructionists to determine the extent of the manufacturer’s breach of duty. Under Florida law, claimants can bring a legal cause of action against a negligible party within four years from the incident for medical expenses, lost income and benefits, decreased earning capacity, periods of disability, an inability to engage in gainful employment, and wrongful death. In rare circumstances, your personal injury attorney can also file for punitive damages.